Classic comfort combined with long distance performance, the 5.5.9 is the best of both worlds. 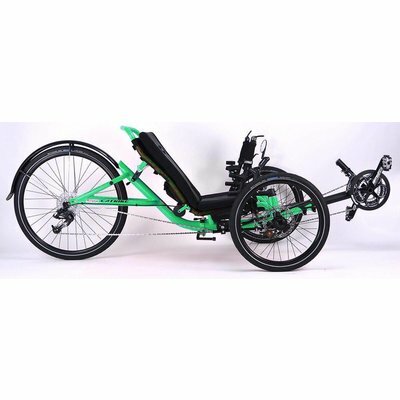 Combining the adjustable backrest and padded seat mesh of our Road and Trail models with the long-distance capability of our Expedition, Catrike has created one of the most capable and comfortable trikes available. The ingenious design of the Catrike’s folding frame with roller wheels allows you to load it in just about any vehicle. Find enjoyment in the journey with the 5.5.9. *weight with all standard components and accessories including pedals, padded seat, mirror, etc. **varies accordingly to rider height.